In the assessment collection arena, there have been a number of pro-homeowner court decisions that affect a community association’s ability to collect unpaid HOA/Condo assessments. 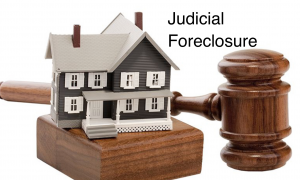 First, courts have held that associations must accept partial payments, which has allowed homeowners to attempt to avoid foreclosure by paying only delinquent assessments reducing the assessment balance below the $1,800 (or 12-month) threshold. Second, courts have held that an association must strictly comply with the Davis-Stirling Act with regard to imposing an assessment lien against a delinquent owner’s property and foreclosing that lien. These rulings create additional challenges for an association attempting to collect delinquent assessments. Consequently, in recent years, community associations have attempted to adjust their collection policies and procedures in response to these court decisions; however, owners are continuing to take advantage of these new laws for purposes of challenging assessment liens and tendering partial payments to reduce their assessment balance, leaving attorney fees, costs, interest and trustees fees unpaid. Homeowners are becoming more savvy in challenging assessment liens and obstructing the association’s attempts to foreclose. Given this, what are an association’s options if a seemingly defective lien has been recorded? What if an owner pays only assessments in an attempt to avoid paying the collection fees? What are the association’s options? The Wall Street Journal recently reported that secured bank lenders to General Motors would get a full recovery on $6 billion in loans made to the auto maker, under the bankruptcy plan being finalized by the U.S. Treasury. If you are asking what this has to do with California community associations, then you need to read on. California community associations have the ability to secure a delinquent homeowners assessment obligation by recording an assessment lien. With an increasing number of delinquent homeowners resorting to bankruptcy protection, it is more important than ever that California community associations move quickly with the assessment collection process and record a lien. Keep in mind that the lien cannot be recorded until 30 days after the pre-lien letter with all the required language and attachments (association collection policy, statement of account, etc.) has been sent out to the owner(s) in compliance with the California Civil Code. Click here for more information on what is required for the pre-lien letter.